Our new Outlast lightweight cooling comforter is made from our newest technology called ClimaDry. For anyone who frequently gets overheated at night, this super lightweight moisture-wicking bedding may be the solution to your nighttime struggles. 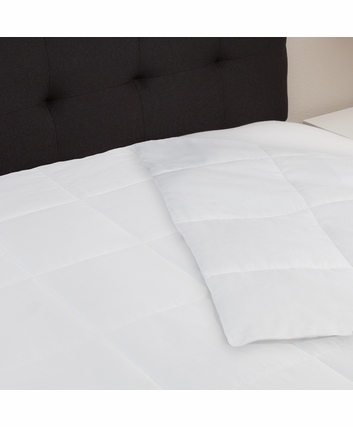 The unique Outlast lightweight cooling comforter of this cooling comforter is made of our exclusive ClimaDry formula, which regulates body temperature through heat and moisture management. 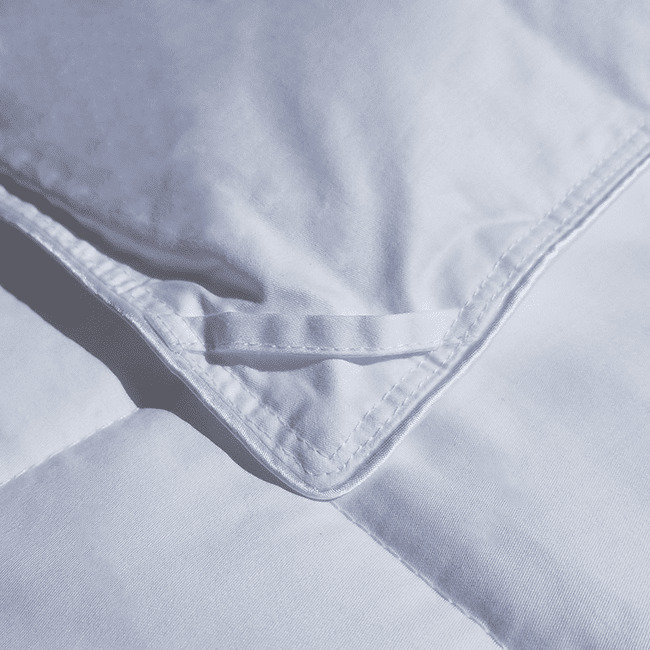 This helps reduce the humidity that builds up beneath the sheets, cooling you down and regulating your body temperature to a normal, comfortable level. 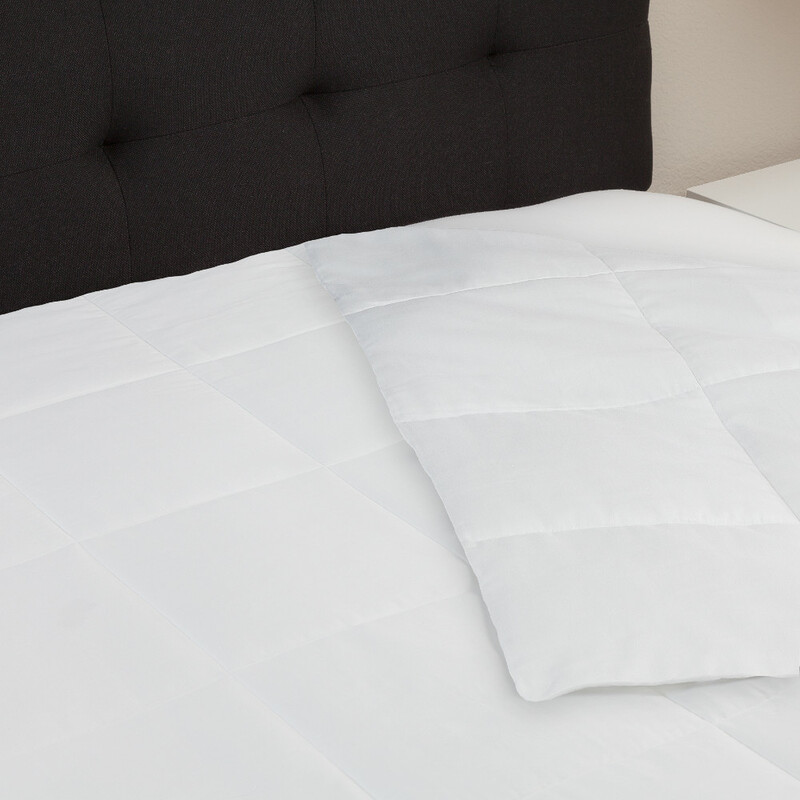 While this Outlast lightweight cooling comforter is made of a technically advanced fabric, it still looks and feels just like a conventional comforter. The outer shell is 100% soft cotton and the polyester fiberfill mimics the feeling of down. 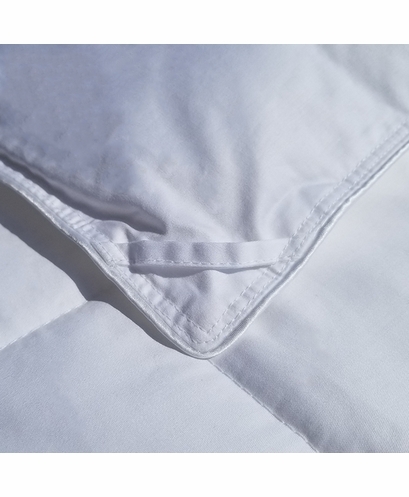 If you're unsure about which type of moisture-wicking bedding to purchase, you can contact Cool-jams' knowledgeable customer service team before placing an order. Healthy sleep requires that your body stay cool throughout the night. 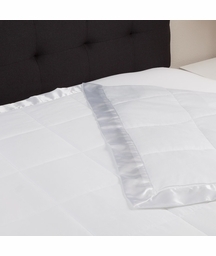 With our Climadry moisture-wicking bedding you can rest comfortably at the right temperature. 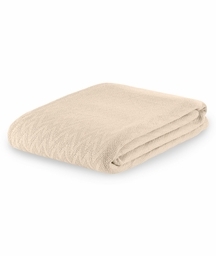 This super lightweight comforter is made with Outlast bronze certified fabric meaning it helps with temperature control but is meant to be used with our gold rated sheets for the ultimate temperature regulation. 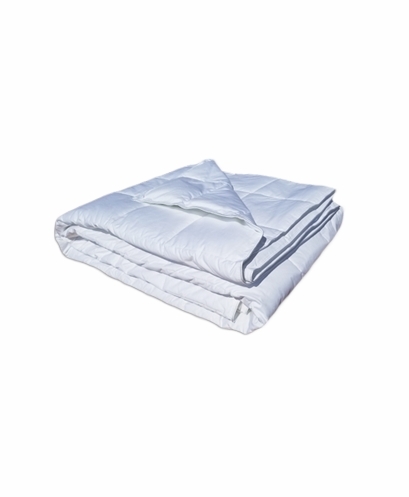 This Outlast lightweight cooling comforter combined with our sheets and duvet cover is ideal for women who suffer from hot flashes and/or night sweats. It is also great for thermally incompatible couples. 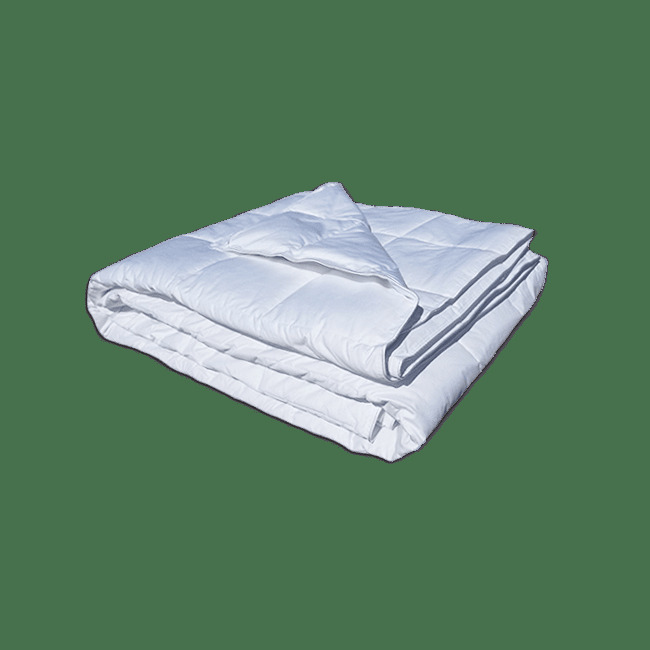 Sizes: Twin 68" x 88", Full/Queen 90" x 98", King 104" x 98"
Care instructions: Machine wash your moisture-wicking bedding in warm water, tumble dry on low to medium heat. Do not wash the Outlast lightweight cooling comforter with bleach, fabric softeners, dryer sheets or dryer balls.